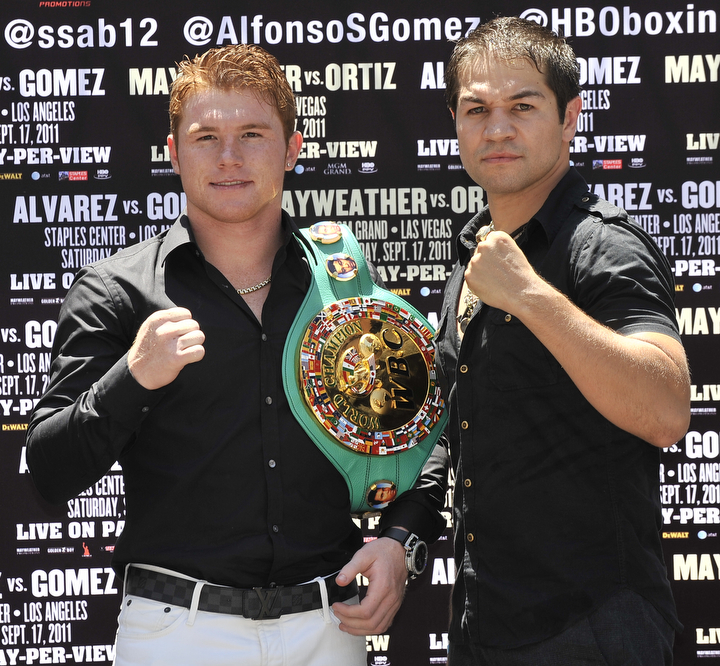 WBC Super Welterweight World Champion Canelo Alvarez (Left) and super welterweight contender Alfonso Gomez (Right) pose on July 26, 2011 in Los Angeles, California at the press conference to officially announce their September 17, 2011 world title fight. 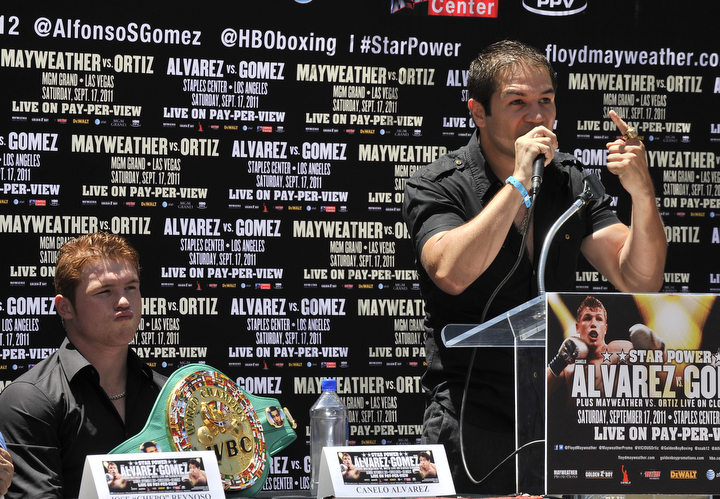 “The only thing I want to say is I will prepare 100 percent for this fight and not take him [Gomez] lightly. “I do my talking with my fists in the ring because I am a man, not a clown. I’m going to show this kid who Canelo is. “I am going to ruin all of their [Golden Boy Promotions’ and Canelo’s] plans. I am going to unleash this beast that is within me. “From the first second I heard about this fight, I have been in the gym. This road I have been on has been too hard to take anything for granted at this point. “I plan to go in and die in the ring to win this fight. I’m ready to become world champion. This is my time. This opportunity is mine and I’m going to take it. 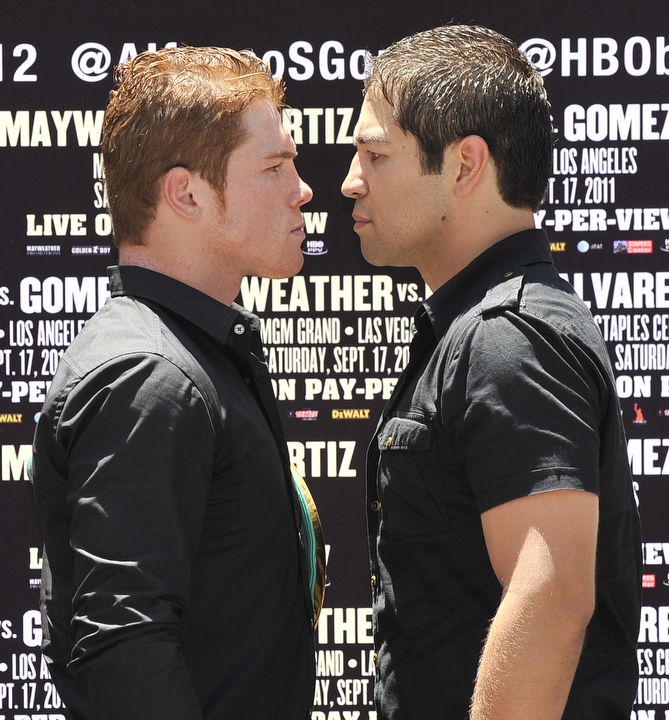 “Houston, he [Canelo] has a problem and his name is Alfonso Gomez. “On September 17, everyone will know Alfonso Gomez as the world champion. “I know Canelo trains hard and he is not a champion for nothing, but I have experience and I will be the champion of the world. “The Canelo-Gomez fight will be in Los Angeles at STAPLES Center the same night Floyd Mayweather and Victor Ortiz fight at the MGM Grand in Las Vegas. “The pay-per-view will start with Jessie Vargas and then we will have Erik Morales, both in Las Vegas will then go to Los Angeles where we will see Alvarez vs. Gomez, and then back to Las Vegas for Mayweather vs. Ortiz. “This is the first time there has ever been a split-site event on HBO Pay-Per-View® and it is the biggest pay-per-view Golden Boy Promotions has done. To be able to see stars like Morales, Canelo, Ortiz and Mayweather all on same card is unheard of. “After the fights at STAPLES Center, Tecate will have a two-hour concert. Tecate will have a presence in 10,000 retail stores and will be offering a $20 refund off the price of tickets to STAPLES Center with the purchase of Tecate. “Canelo is a champion, but Alfonso Gomez is a great fighter. 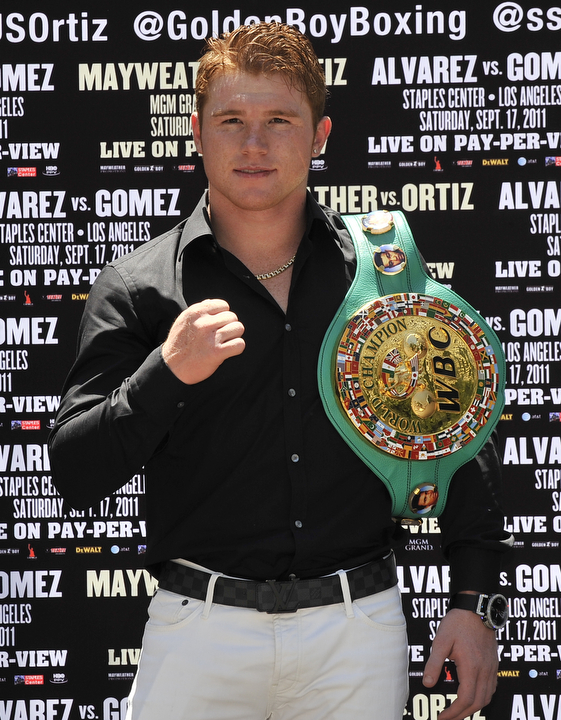 He is a Mexican fighter and it will be a big test for Canelo. 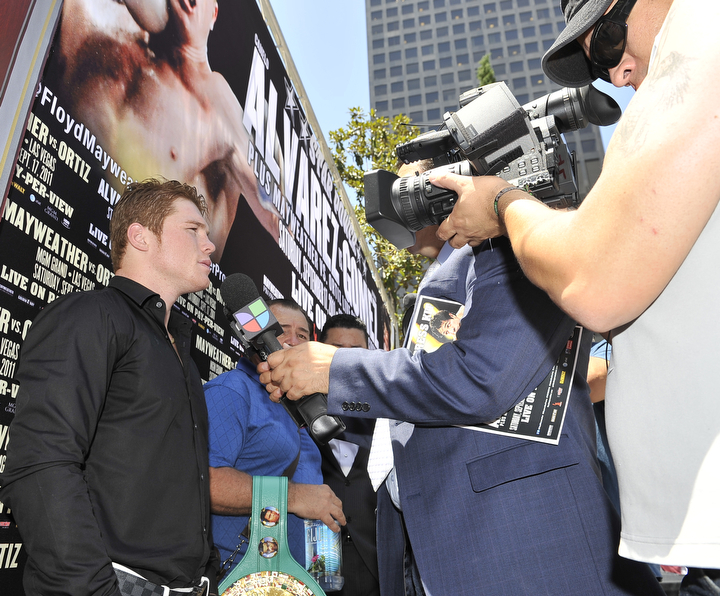 “It is incredible what Canelo has done in Mexico and all around the world. 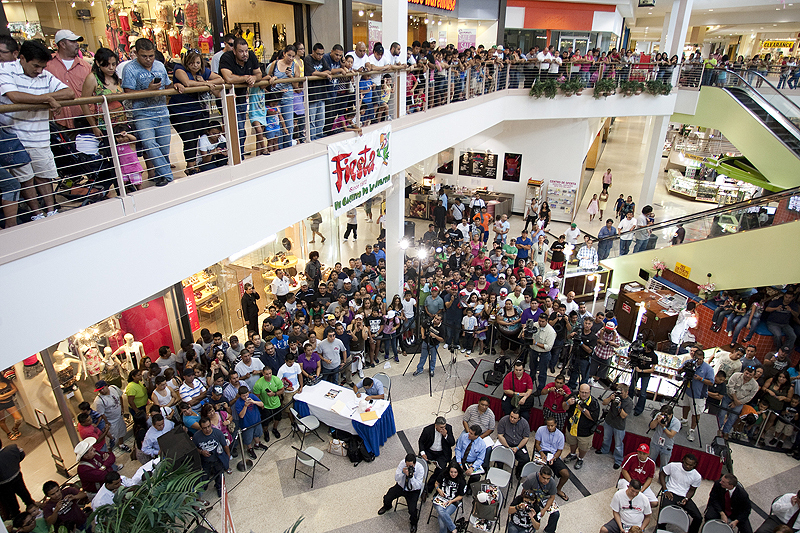 “Canelo has seen incredible television ratings [for his fights] on Televisa in Mexico and also in the United States. He is a champion, but he still has many more goals for the future. “We’re very excited. 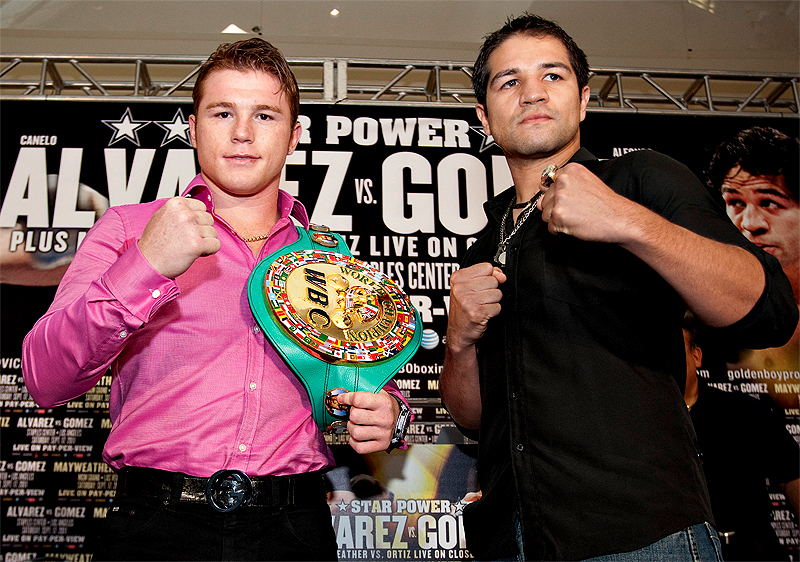 Canelo Alvarez vs. Alfonso Gomez, you might not know the names now, but you will. We will win this fight. “We want to make Canelo Alvarez a star. From now on when people write his name, it’s going to be in capital letters. “I get goose bumps seeing so many people in attendance today. 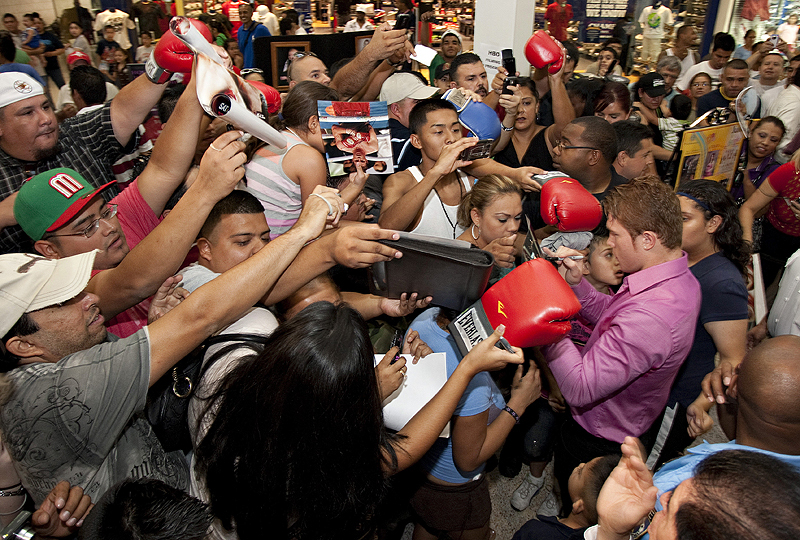 Canelo represents all of the people and he will fight for the people. “This is a great fight and Canelo is a great opponent, but if he wants to win he’s going to have to sweat blood. “Alfonso Gomez is a fighter who fights with honor, who accepts all fights and we guarantee a good fight. I promise you Canelo has never fought a fighter like Alfonso Gomez. “There must me something in the water in Guadalajara as both guys are from there. “What Golden Boy Promotions has done with the split-site pay-per-view, is the single most creative thing I’ve seen in boxing in 20 years. 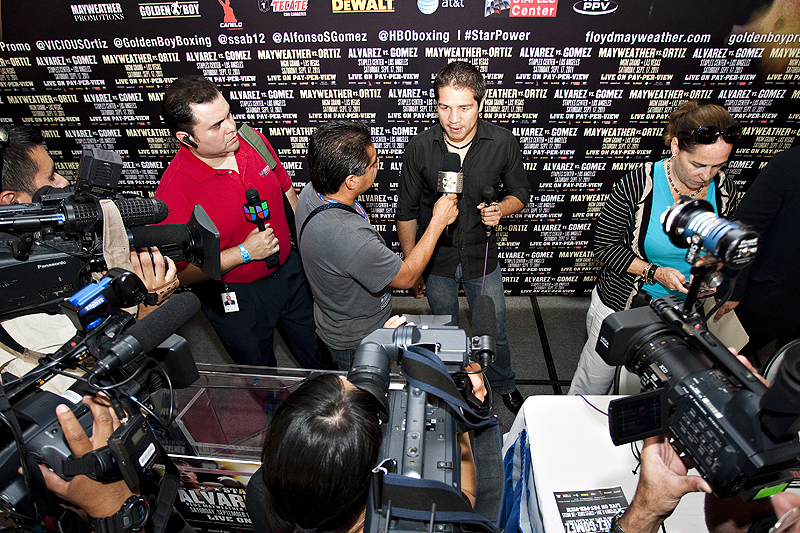 “Mexican Independence Day Weekend is the biggest weekend in boxing of the year with so much excitement surrounding it.